Come and hear a talk from eminent Historian and Author Gary Best on one of the most under-celebrated preachers of the 18th century. 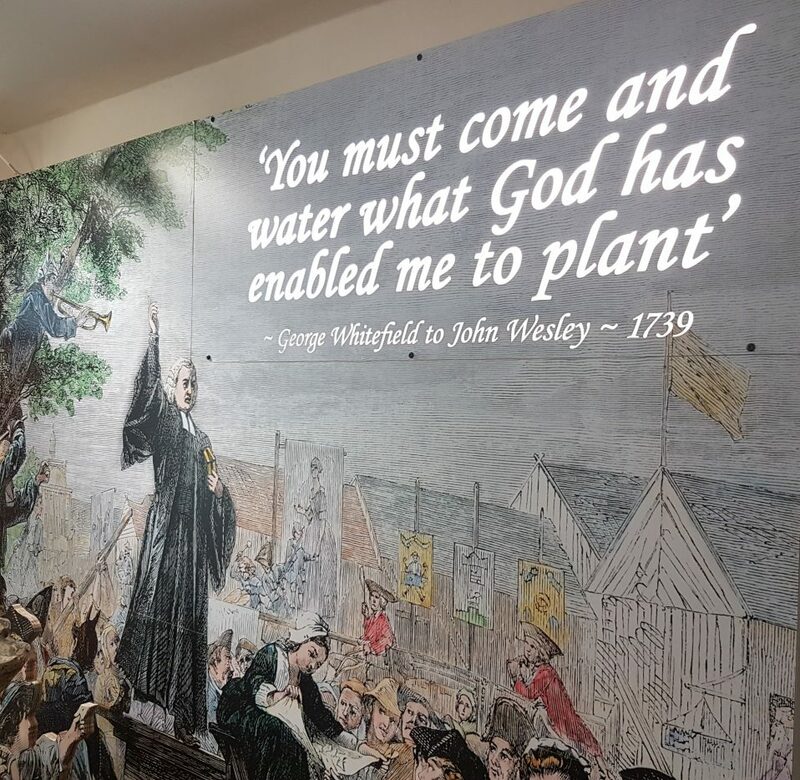 It was in 1739, having committed to work in America, that Whitefield wrote a letter to John Wesley asking him to, “Come and water what God has enabled me to plant.” After accepting the invitation Wesley arrived in Bristol on 31 March 1739 and commenced preaching immediately. Why not combine this talk with a visit to the Museum at the New Room? Click here to find out more. Don’t forget to visit the George Whitefield pop-up exhibition in the Chapel which is on display on 20 July. Tuesday 5 June, 10.30am – 12 noon in the Horsefair Room. This talk is free of charge, but donations to the work of the New Room are welcome.